Please join us for our Monthly Meeting and a invited lecture from Dr. David James, Associate Professor of Entomology, Washington State University. David will provide a presentation that explores behind the scenes of researching and writing the book, “Life Histories of Cascadia Butterflies” as well as highlighting notable butterflies and their life histories of the eastern Cascades and shrub-steppe in central Washington. The charisma of butterflies will be discussed as well their importance in ecology. The talk will also cover current butterfly research and conservation endeavors that Dr James is pursuing with the Cowiche Canyon Conservancy in Yakima and the Washington wine grape industry. 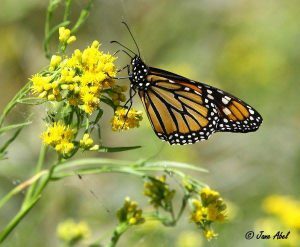 He will also talk about how his work with citizen scientists has helped unravel the mysteries of Monarch butterfly migration in the Pacific northwest. Cheer on the Tri-City Americans as they take on the Portland Winterhawks! 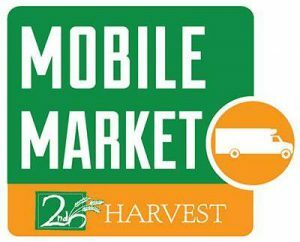 Second Harvest’s Mobile Market will distribute FREE produce and other groceries for all in need, while supplies last. No appointment or documentation is required. You may be a resident of any city. Please bring a box, bags or other container for your food. The Truth and I: Reading Betty MacDonald in the Age of Memoir – A presentation by Paula Becker. 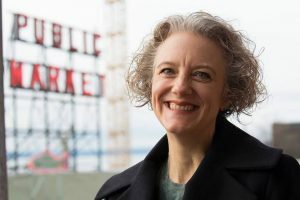 Betty MacDonald burst onto the American literary scene in 1945 with her memoir, The Egg and I, a tartly witty tale about operating a chicken ranch on Washington’s dauntingly wild Olympic Peninsula. Betty’s vivacity, offbeat humor, and irreverent take on life captured a public ready to laugh again after the grim, hard years of World War II. During its first year, The Egg and I sold one copy every 22 seconds. Although she wrote autobiographically, Betty’s relationship with truth was slippery. During a 1951 libel suit, Betty testified that she’d made up nearly all of The Egg and I—questionable testimony that worked in her favor. Betty’s readers seemed not to mind this discrepancy, but why? This talk, led by journalist and Betty MacDonald biographer Paula Becker, ponders how Betty’s kind of nonfiction relates to the popular genre of memoir today. What—then and now—does “truth” in memoir mean? Willy Wonka, the secretive candy maker, offers an exclusive tour of his factory and a lifetime supply of candy to the five lucky winners who each find a golden ticket hidden in his chocolate bars. With every contest there severe consequences when rules are broken. Can you pick out who will make it to the end of the tour in one piece? 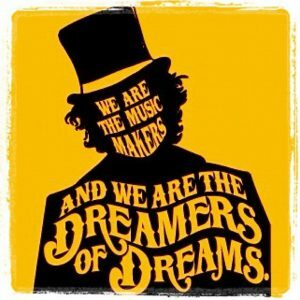 Based on the classic book and featuring songs from the 1971 film adaptation, Roald Dahl?s Willy Wonka Jr. is a scrumdiddlyumptious musical audiences (and Oompa Loompas) of all ages can enjoy. Future Dates: March 9 @ 7:00 p.m. & March 10 @ 2:00 p.m. 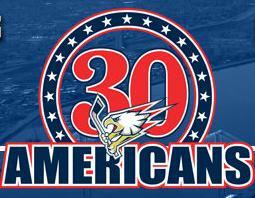 Cheer on the Tri-City Americans as they take on the Spokane Chiefs. It is also Mascot Night! Individual concert tickets will be available at the door when space is available for Adults ($25) and Students ($10). 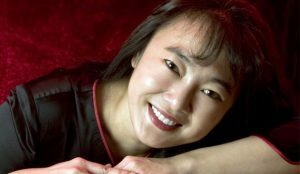 Tien Hsieh is a pianist recognized for her exceptional temperament, insight and personal expressivity. She has enjoyed a far-ranging career as a recitalist, concerto soloist and chamber musician. Her artistry expresses a warmth and freshness of ideas that none but a poet could explain. As a scholarship student at the Manhattan School of Music, Miss Hsieh received the Professional Studies Diploma and Master of Music Degree under the tutelage of Dr. Marc Silverman. She received the Bachelor of Music degree from University of Houston, where she was a full scholarship student of Abbey Simon and Ruth Tomfohrde. Miss Hsieh is a Touring Roster Artist sponsored by the California Arts Council and has recently joined Northwest on Tour. Seats are limited. 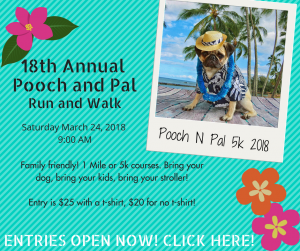 Online registration ends on February 25 at midnight. 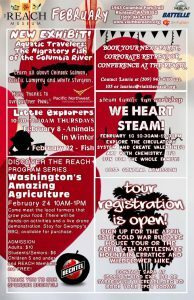 $55 includes a full day of education, lunch, and refreshment. Registration may be available at the door for $55 if there is still space, but will not include lunch. Note: As of February 24, there were 76 seats still available. 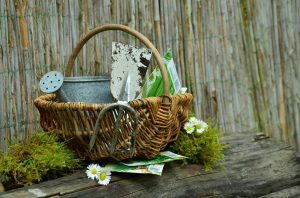 Spring Garden Day is a day-long program of gardening classes for local gardeners. Keynote speakers Willi Galloway and Doug Rice will teach about vegetable gardening and landscape design. Local Master Gardeners and WSU Extension faculty will lead breakout sessions on herb gardening, growing edible flowers, landscape irrigation, and organic pest management. Sign up with a friend and make a day of it! Lunch is a Colossal Salad Bar, including chicken salad, pasta salad, fruit, and more is included in the cost of registration. Coffee and tea will be provided throughout the day. Master Gardeners and local businesses will have plants, gardening gloves, books, crafts, and more for sale! 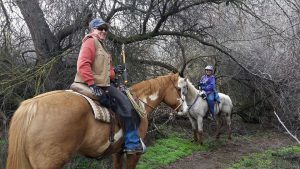 Attention all trail users – it’s time for some “spring cleaning” at Chamna Natural Preserve! We’ll be tackling trimming low and high on several trails. Please bring loppers, hand saws, pruners, other trimming tools, and work gloves. We’ll meet at the main parking lot of Chamna, divide into groups and hit the trails at 9 a.m. Please email caroleaschuh@gmail.com if you plan on volunteering. 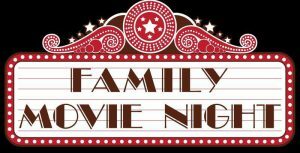 Girl Scout Troop 3518 is hosting a Family Movie Night for the whole family that will feature the movie “Troop Beverly Hills.” Money raised will go towards their 2018 Beach camping trip, 2019 Juliette Gordon Low – Savannah, Georgia trip, 2020 Girl Scout National Convention – Orlando, Florida trip, and 2021 Costa Rica trip. Snack bar will be available with homemade treats and drinks. This is a picnic style movie viewing so bring a blanket(s) and enjoy! 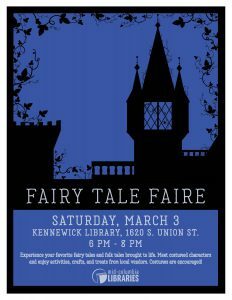 Come one, come all to the Fairy Tale Faire! Experience your favorite fairy tales and folk tales brought to life. Meet costumed characters and enjoy activities, crafts, and treats for purchase from local vendors. Costumes are encouraged! 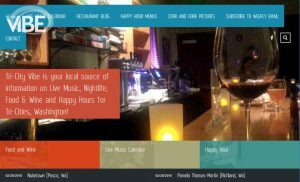 Local food vendors attending are Dovetail Joint Restaurant and Frost Me Sweet. Cheer on the Tri-City Americans as they take on the Portland Winterhawks. There will also be the G2 Construction Wiener Dog Dash during the intermission! Limits are tested and conflict comically explored in 2017’s Gook. Written and directed by Justin Chon the film is about two Korean-American brothers who, while running their father’s shoe store, cultivate a surprising friendship with a local 11 year old black girl during day one of the 1992 Los Angeles riots. Timely and important, Gook will captivate you. 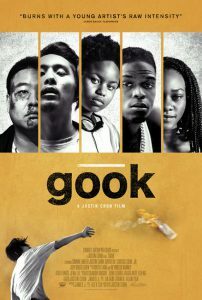 Gook (2017) Drama, USA, English, Not Rated, 94 min. Won an Oscar for the best foreign launguage film. This exhibition explores two series of paintings by Washington-based artist Karen Hackenberg. In the Watershed series, Hackenberg takes a light-hearted yet subversive approach to the serious subject of ocean degradation, presenting a tongue-in-cheek taxonomy of our new post-consumer creatures of the sea. 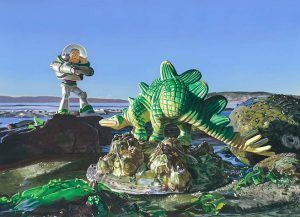 Influenced by the ideas of Pop artists Claes Oldenburg, Ed Ruscha and Andy Warhol, and the high-contrast light of Edward Hopper, Hackenberg meticulously paints seascapes in oil and gouache, lovingly crafting beautiful images of conventionally ugly beach cast-offs, and aiming to create provocative visual juxtapositions of form and idea. In a similar juxtaposition, and with a similar use of humor and wit, The Divining Line series presents paired human and animal portraits, in diptych format. 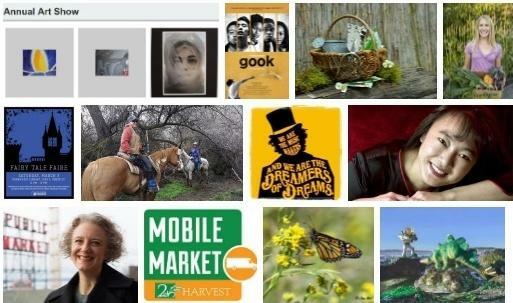 Weather the creature represents a spirit animal, a friend, or symbolizes qualities we wish to possess, these shared portraits do an amazing job of defining the relationship between the two subjects, while simultaneously emphasizing their individually. ESD 123 is honored to sponsor the Annual Regional High School Art Show. 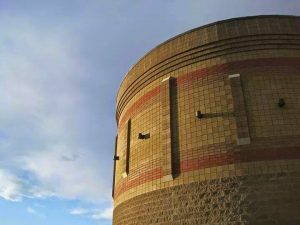 The annual show encourages student artists from 23 districts in Southeastern Washington to showcase their talents and abilities. 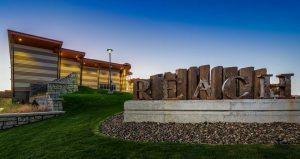 The exhibit is displayed at the CBC Byron Gjerde Center, with an Awards Ceremony recognizing the juried winners. March 2: Two Small Pieces of Glass: The Amazing Telescope at 7 p.m. and Bad Astronomy: Myths and Misconceptions at 8 p.m.
March 3: My House Has Stars at 2 p.m. and Kaluoka’hina: the Enchanted Reef at 3 p.m.